Viknesh Vijayenthiran June 28, 2018 Comment Now! The current BMW 7-Series is one of the most dynamic and technologically advanced offerings in its class, but its predictable styling and drab interior leave a lot to be desired. This is a six-figure car once you add a few options, yet to the average onlooker it’s hard to distinguish from the lesser 5-Series. This is reflected in the sales. In 2017, the 7-Series racked up 9,276 sales in the United States, down almost 30 percent on the 12,918 sales it achieved in 2016, the current model's first year on the market. Meanwhile, Mercedes-Benz’s S-Class (including two-door variants) managed close to 16,000 sales while the Tesla Model S managed close to 26,500 sales. 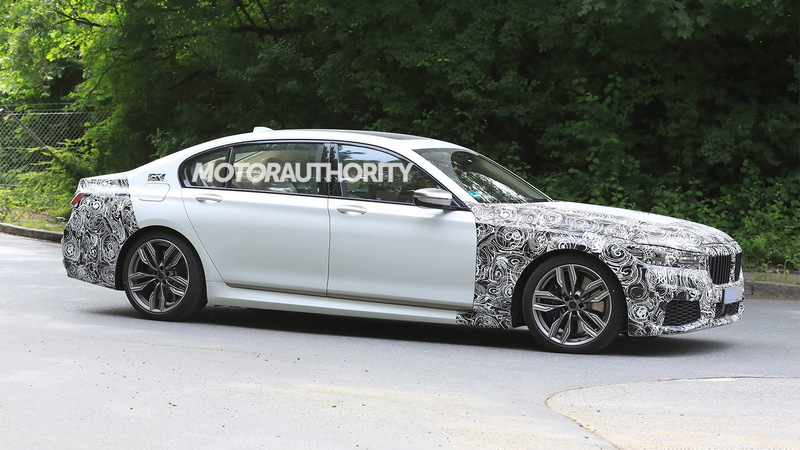 The good news is that BMW will introduce substantial changes for the 7-Series’ mid-cycle update. A recently sighted prototype sported significantly more camouflage gear than you normally see for a mid-cycle update. 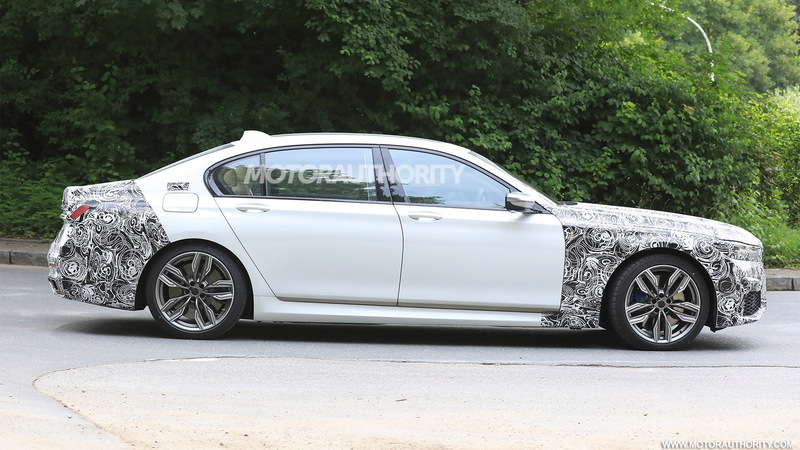 It looks like BMW will introduce a new face for the car with new head and taillights, a new hood, and a new, much bigger grille. The interior should also be made more plush as part of BMW’s plan to make the 7-Series feel more special. 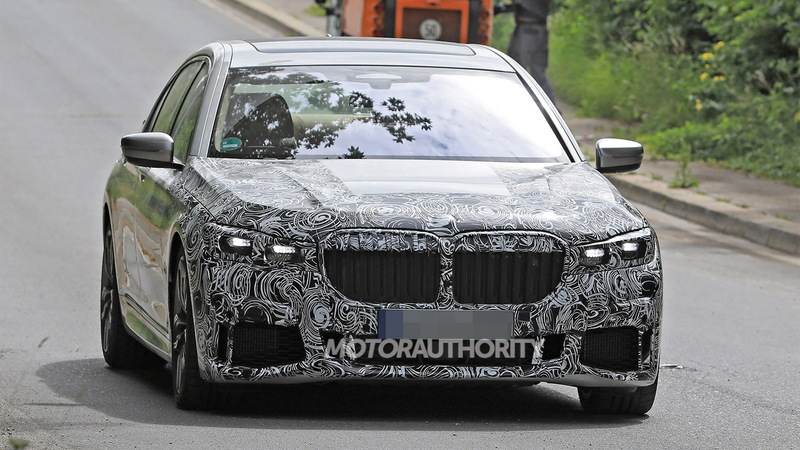 The car will sit alongside the i8 and upcoming X7 and 8-Series models in BMW’s new exclusive Bayerische Motoren Werke set. The high-end cars will wear a black-and-white version of the BMW roundel first used 100 years ago. There will be some new technologies too. One of these will be Amazon's Alexa voice assistant, which BMW will start introducing to its cars in 2018. Don't be surprised if more advanced electronic driver aids are added. BMW is working closely with HERE, Intel and Mobileye to develop its self-driving technology. 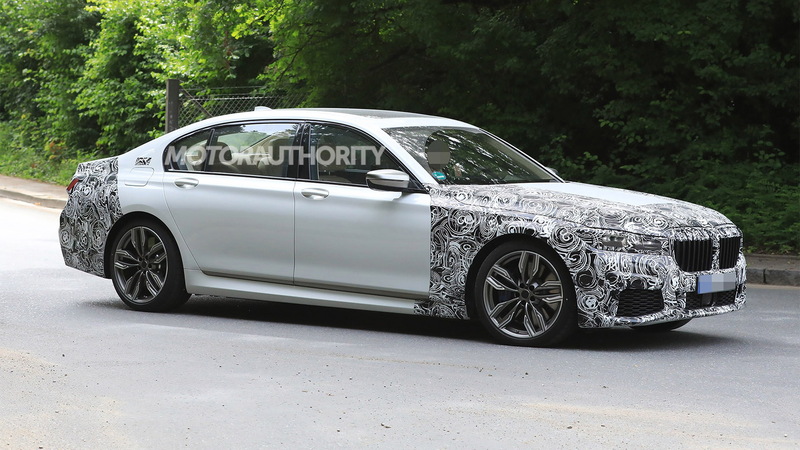 There likely won’t be any major powertrain changes, although we could see a second plug-in hybrid option join the current 740e iPerformance. 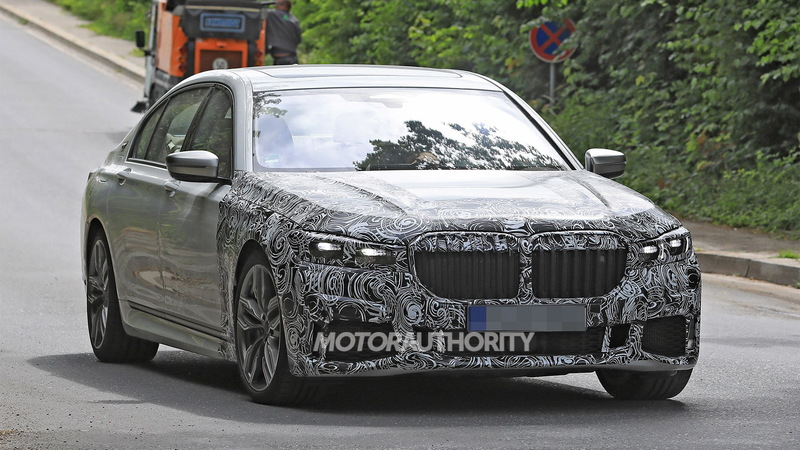 Look for the updated 7-Series to go on sale in 2019 as a 2020 model. A redesigned S-Class should arrive about a year later.